Apple has snapped up another 185,000 square feet of real estate in the center of Los Angeles's film scene, according to The Real Deal. 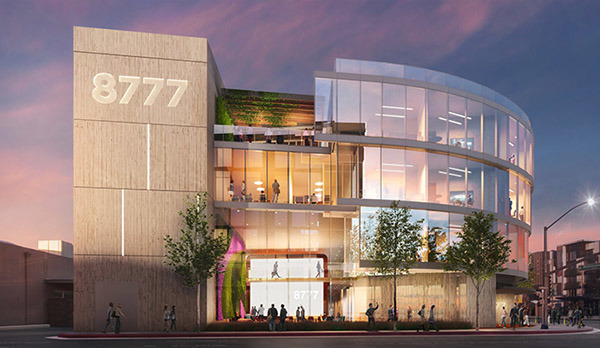 The iPhone maker will take possession of a new four-story project at 8777 Washington Boulevard that was initially slated to become HBO's new headquarters. The building includes 4,500 square feet of retail space on the ground floor, though it's not yet known whether Apple will occupy that space itself or look to lease it to a third party. Apple's new office is minutes away from an 85,000-square-foot production facility the company has been linked to since last year, with reports saying that Apple has finalized the lease on that location as well. Before beginning its video march, Apple acquired a significant presence in Culver City when it purchased Beats. The headphone maker opened a new campus just minutes away from Apple's new Washington Boulevard location in 2014.